Knee arthroscopy is commonly called keyhole surgery or a knee scope. It is an operation which involves looking inside the knee joint using a camera. Knee arthroscopy is performed as a day case operation, which means that you don’t need to stay overnight. Usually you come in early in the morning and go home early in the afternoon or come in late in the morning and go home early in the evening – depending on whether it is a morning or afternoon list. The hospital will contact you a day or two prior to your operation to confirm the exact times. The operation is performed under a general anaesthetic. Which means you will be asleep. You need to have an empty stomach to have a general anaesthetic, so make sure you haven’t eaten anything for at least 6 hours before you arrive in hospital. You are allowed to have a few sips of water to take any necessary medications. The anaesthetist is the doctor that will be putting you to sleep and monitoring you during the operation. They will talk to you before the surgery. If you have any concerns about the anaesthetic let them know. In particular, they want to know about any medical conditions and problems with previous anaesthetics. The surgery usually takes about half an hour but will vary depending on what we find. During the operation we will put a tight tourniquet on your leg to decrease bleeding. We then make two small cuts (about a centimeter long) in the front of your knee. We put a thin metal camera, about the size of a drinking straw, into the knee through one cut. We pump a water solution into the knee to help us to see. We look around all of the knee joint and take photos. Once we find the problem inside the knee we put instruments in through the other cut to fix it. These can include tiny scissors, graspers and mechanical shavers. After we have finished working inside the knee we wash out the joint to remove any debris. 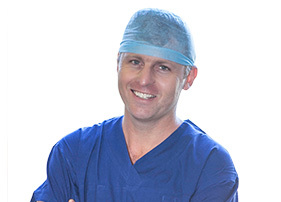 We inject local anaesthetic into the knee to help to decrease any pain. The two small cuts are usually closed with narrow adhesive paper strips and a waterproof dressing is placed over the top (sometimes we put in a couple of normal stitches as well to help the skin heal). We then wrap the whole knee in a firm crepe bandage. After the operation you will wake up in the recovery room. The nurses there will look after you until you are wide awake and able to return to the Day Surgery ward (where you first arrived). I will come and talk to you after the operation and let you know how it all went. With everything going on, and the residual effects of the anaesthetics, it is quite common that you won’t remember all the details of our conversation. Don’t worry, I will go over all of it again when I see you for your follow-up appointment. You may be given some photographs taken during the operation. These are you to keep. A lot of patients find them difficult to interpret. Don’t worry, I will explain what they all show at your follow-up appointment. A physiotherapist will see you in the Day Surgery ward to show you how to use crutches and some exercises to help your knee recover. Most people are allowed to put weight through the injured leg straight away after surgery. That is, you are allowed to walk on it. However, I ask that everyone who has had a knee arthroscopy uses the crutches for at least the first few days to help support the knee while it starts to recover. I also recommend that you take it quietly for the first ten days after the operation. This means that I am happy for you to walk around indoors, but I would suggest that you avoid walking more than about 100 metres, and that you avoid climbing stairs and walking on uneven ground. If you do need to walk further or climb stairs during this time you should use the crutches to help to protect your knee. The physiotherapist that sees you at Warringal Hospital will be from Total Physiocare. They will give you an information sheet with some recommended exercises. Sometimes I will ask you to be “touch weight bearing” for several weeks after the surgery. Usually we would have predicted that this was going to be necessary and I would have warned you about it. The physio will go over this with you in detail, but basically it means that you are not allowed to walk on your injured leg and will need to continue to use the crutches all the time. In these cases, your knee will usually feel fine within a few days and you will feel that you are able to walk on it. Please don’t. The reason we are keeping you from walking on it is to protect a damaged or repaired area inside your knee and, if you walk on it, it may not heal. Before you leave hospital, the nurses will usually arrange your follow-up appointment to see me again around 10 to 14 days after the operation. If the appointment isn’t made please contact my office during working hours (ph. 94596611) and we will arrange it. You will need to arrange for someone to drive you home. You will need to take time off work. I am very happy to sign you off for as long as it takes for your knee to recover. For people with desk jobs who can get to work easily I recommend taking a week off work whereas anyone who is working on their feet all day will need two to three weeks and heavy labourers will require 4-6 weeks. It is best to avoid all sporting activities (apart from the exercises given to you by our physiotherapist in hospital) until after your follow-up appointment at 10-14 days. You are likely to be able to swim and get on an exercise bike after that appointment. You will need to avoid pivoting or contact sports, such as netball or football, for 4-6 weeks (depending on the details of your surgery). It is normal for your knee to be sore for a few days after the operation. There is a lot of variation between people with some patients getting almost no pain and others who are sore and requiring painkilling tablets for as long as 14 days. You will be sent home with some pain-killing tablets. Start taking these as soon as the knee starts to get sore, and then take them regularly to keep the pain away. You may be able to cut back on them after the first few of days. It is often useful to change from the strong painkillers which we give you to something milder like paracetamol (Panadol) or ibuprofen (Nurofen) after the first couple of days. Rest, elevation and ice packs can also help to settle down the pain and swelling. If the knee starts to become increasingly painful after the first couple of days start by resting it, putting on an ice pack and taking some pain killers. If it fails to settle or you develop and signs of an infection, such as a temperature or increasing redness or swelling around the knee, then contact my office (ph. 94596611), or the hospital, or your GP or local emergency department. You will be sent hope with a bulky crepe bandage on your knee. You can remove this yourself after two days. Underneath you will see two sticking plasters. Often, they are a little blood-stained – this is normal. Leave the sticking plasters in position, you can wash or shower over them. They can be removed after 10 days. Sometimes they come off themselves in the shower. If they come off and you notice that there are still stitches in the skin leave them in place and I’ll take them out when I see you. If the sticking plasters are still in position when I see you for the follow-up appointment (10-14 days) I will take them off for you. What do we do inside your knee? 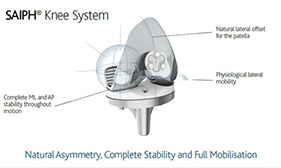 There are several different operations that can be during a knee arthroscopy. Often several different things are done at the same time. These are some of the most common things that we may do. Any loose pieces of cartilage or bone that may be floating around inside the knee can be removed. They will be grabbed with graspers or sucked up through a shaver. If they are large the small skin incisions may need to be made a little longer to get them out. Sometimes we may not be able to get all of the loose bodies out as they may hide on parts of the knee that we can’t get to. Torn parts of the meniscus can be trimmed off. We use tiny scissors and nibblers to remove the large pieces and then small motorized shavers to smooth off the rest. It is called a “Partial” meniscectomy because we try and leave as much of the meniscus cartilage behind as possible so that it can continue to cushion the knee. After a partial meniscectomy the injured area of the knee will still be tender for a few weeks. Most people recover quickly and are walking almost normally after 10 to 14 days. The front of the knee will remain slightly swollen for up to a month. You should be careful not to put too much stress through the knee for the first few weeks. I recommend staying mainly indoors for the first week and avoiding running, twisting, squatting or heavy lifting for the first four weeks. The remaining meniscus cartilage is fragile initially and may be injured if you return to full activity too early. In some cases, we stitch the torn meniscus cartilage back together again to try and get it to heal. We use tiny anchors and knots to hold the torn meniscus back together. After a meniscal repair you will need to be on crutches “touch weight-bearing” for 4 weeks. That means you are not meant to walk on it and must use the crutches all the time. This is to stop the stitches in cartilage from pulling out and to give the meniscus the best chance of healing. The physiotherapist in the hospital will give you some exercises to perform to improve your movement and strength. It is safe to do these. Within a couple of weeks of the operation most people have good movement and very little pain in the knee. The main problem with meniscal repair is that the cartilage doesn’t always heal. About 20% of the time (one in five) the torn meniscus comes loose again, usually several months after the initial operation. In these cases, a second knee arthroscopy will be needed to remove the unhealed, torn fragment. If a piece of the surface cartilage is damaged and a hole is developing the damaged cartilage at the edges of the hole are often sticking up and catching within the knee. A chondroplasty involves taking a small shaver and shaving off any loose fragments of the surface cartilage. We leave behind all of the undamaged cartilage. The recovery from chondroplasty is usually very quick as long as the damaged area is not too big. If the hole in the surface of the joint is large this can cause ongoing pain or make you prone to osteoarthritis in the future. If a hole has developed in the surface cartilage, then sometimes we performed microfracture to try and get it to heal over. This involves clearing away any remaining damaged cartilage (chondroplasty) and then using a very small, sharp point to push holes into the bone at the base of the hole. The holes are usually about 2mm wide and 3-4mm deep. The holes are designed to allow the cells from the bone marrow to leak into the gap in the cartilage and form a scab which can develop into a layer of scar tissue. The knee recovers quickly from microfracture and will feel pretty good within a few days. However it is very important not to walk on the injured leg for between 4 and 6 weeks (I will tell you exactly how long depending on the size of the hole treated) after the surgery. During this time the scar tissue is forming and if you walk on it there is a chance that it will rub off and not form. It is important to move the knee during this time and we will show you a series of exercises that you need to perform regularly. About 80% (4 out of 5) of people get a good result from microfracture. It works particularly well if the hole in the cartilage has happened recently and is smaller. Infection in the knee joint - about 1 in 500 operations. It can require further surgery to wash out the infection. The infection can damage the knee joint. Infection is more likely in patients who are overweight or have diabetes. DVT (deep vein thrombosis) – a blood clot that forms in the leg veins and can occasionally break off and go to the lungs. It can happen after any surgery and usually causes increasing pain in the calf muscle a few days after the surgery. It is more common in people who have had one before, so let us know if you have. Tender scars and numb patches – sometimes the small skin incisions can damage a small skin nerve causing a tender spot or a numb area in the surrounding skin. Failure to improve symptoms – sometimes we find that the amount of damage or osteoarthritis in the knee is too much to fix with a knee arthroscopy. In this case the symptoms may either still be there, and even continue to get worse, or go away for a short time and then come back again. If your knee is still sore several weeks after the operation, then come back and see me so that we can figure out why it is still painful and make a treatment plan to deal with it.